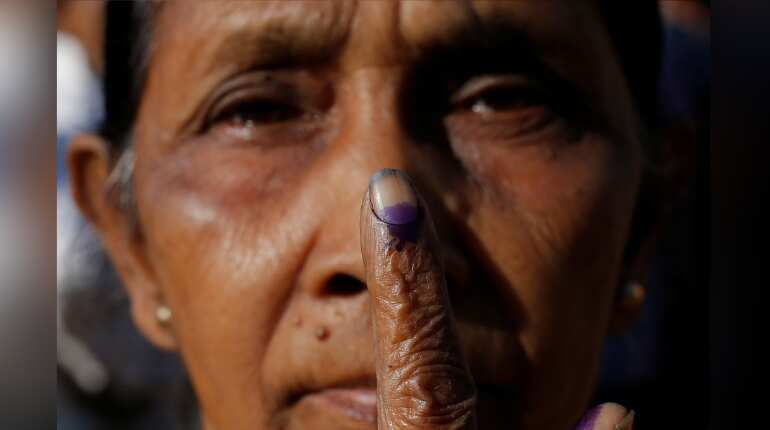 The first phase of Lok Sabha elections concluded in 10 states on Thursday with 6.87 crore women voters and over 14 lakh differently-abled voters. Here is taking a look at some of the remarkable colours of the first day of polling. Sikkim recorded a polling percentage of 62 per cent in the first phase of Lok Sabha elections. 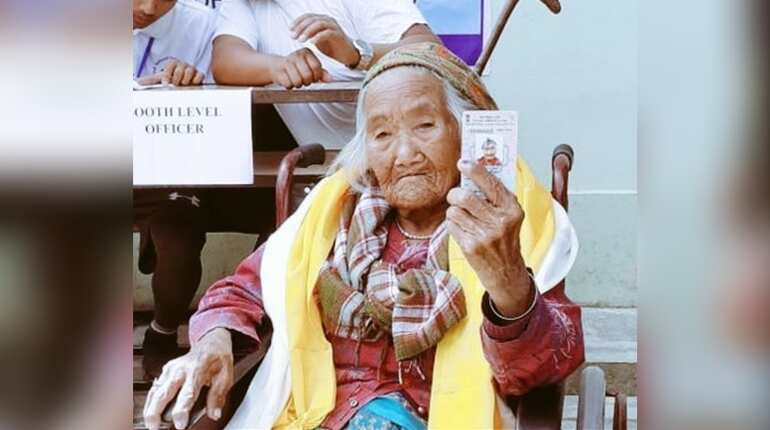 The picture shows 107 years old Sumitra Rai, the oldest voter of Sikkim, at a polling station. Sumitra gets her finger inked after casting vote for Lok Sabha election in South Sikkim on April 11, 2019. West Bengal recorded a polling percentage of 82 per cent in the first phase of Lok Sabha elections 2019. Meghalaya recorded polling of 55 per cent in the first phase of General elections. 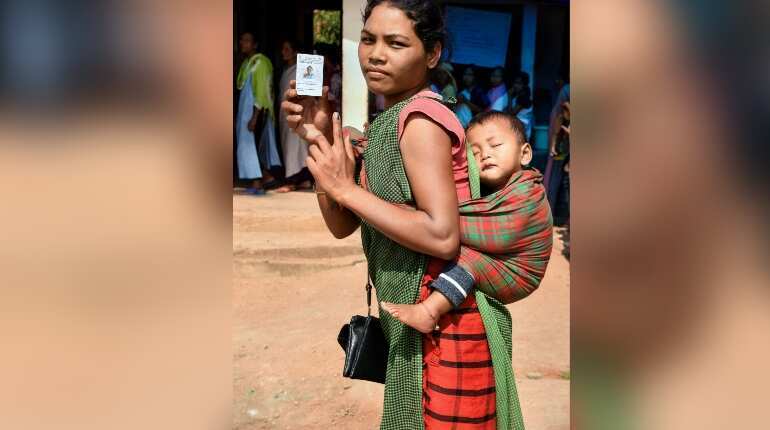 The picture above shows a woman with her finger marked with indelible ink and carrying her voter ID card, after casting her vote during the first phase of general elections, in Ri-Bhoi district of Meghalaya, Thursday, April 11, 2019. 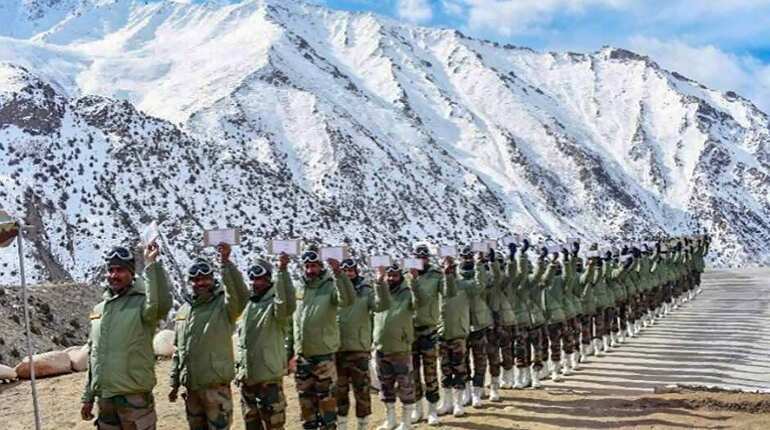 Army soldiers queue up to cast their votes for the Lok Sabha elections as Service voters in Siachen on Thursday, April 11, 2019. Mizoram recorded polling of 61.29 per cent in the first phase of General elections 2019. 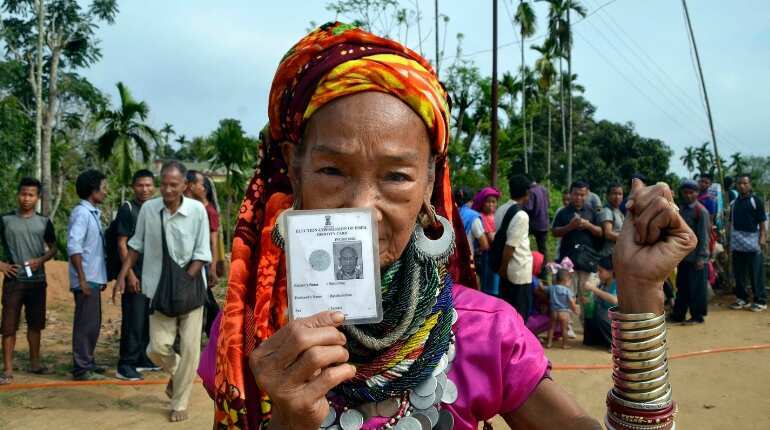 The picture shows a woman belonging to the Reang Bru tribe with her voter ID card near a polling station, before casting her vote during the first phase of general elections, at Mamit district of Mizoram, Thursday, April 11, 2019.